Moscow is an incredibly beautiful city. It’s full of unusual urban landscapes that are a pleasure to look at. We chose the most popular observation points in the city that are definitely worth visiting. Altitude: the tower is 540 meters tall, and the observation point is located at a height at 337 meters. Ostankino Tower is the world’s seventh tallest free-standing building in the world. Built in 1967 and designed by the Soviet architect Nikolai Nikitin, Ostankino Tower is over 540 meters tall and became the culmination of architecture and design of the times. 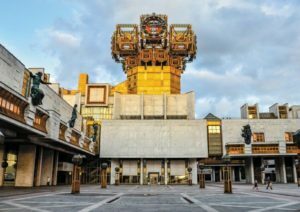 Zvozdnyy Bul’var, Ulitsya Akademika Koroleva, VDNKh, Ostankino TV center – these famous places in Moscow are close to the tower, and not just in terms of location. In the 20th century, Ostankino became a progressive and cultural part of the city, and the tower became an important symbol of the time and the country. Go up to the observation point, which is located at a height of 337 meters and has a phenomenal panoramic view of the city, and try to find all of the most important landmarks in Moscow. Maybe you’re interested in the design secrets behind Ostankino Tower and want to know how it works? There is a technical level on the 85th floor, which only opened up to visitors in 2017. After exploring the tallest tower in Europe, you can relax at the 7Nebo restaurant, where you can enjoy views of the capital over a meal. In April, an interactive multimedia complex opened inside of Ostankino Tower. It has historical, analytical (in the foyer of the TV tower), and tourist expositions (at the observation point). The IMC has 23 modules, including a multimedia archive about the history of Ostankino tower, a weather laboratory that analyzes data from the TV tower’s sensors and displays it in real time, experimental panoramas that show 1-day and 1-year time lapses recorded from the observation point, and much more. The main feature of the complex’s modules is that they’re interactive. Visitors can find out whether the tower’s shadow can reach the Kremlin, listen to how the tower sounds inside and out, and much more. A tour of the observation point on weekdays, at 10:00 am and 11:00 am is 300 rub for children and 600 rub for adults. For all other tours, tours cost 1,000 rub for adults and 500 rub for children. The tour includes a trip on a high-speed elevator, a visit to the observation point, and the tour guide’s overview of Moscow’s key attractions. The TV tower is open every day from 10:00 am to 9:00 pm, and until 10:00 pm on Fridays and over the weekend. You need to have a passport with you for your visit. Children under 7 years old aren’t allowed on tours, and children under 14 must be accompanied by an adult. The closed platform is 850 rub for adults and 450 rub for children. Tickets to both platforms are 1,200 rub for adults and 600 rub for children. This is the place visited by Shalyapin, where Peter the Great looked over the glass factory, where the first water supply system was built, home to the most prestigious university in Russia. Sparrow Hills is the main observation point in Moscow. It’s not really a mountain, but a river bank that has been cut up by precipices and landslides. This spot is 150 million years old. There used to be a sea here, and the spot then housed one of the most ancient human settlements. People say that it was named Sparrow Hills because it used to be populated by a lot of sparrows. The sand from Sparrow Hills has long been praised for its good quality and was used as a substitute for blotting paper for a long time. The hills also bore witness to the peace agreement with Turkey, and the transit prison that existed here back in the 19th century. On September 1, 1900, construction on the Rublevsky water supply system began here. The city was growing, there wasn’t enough water, and the reservoirs at Sparrow Hills were used to supply water. That’s when the idea to build a park here was born, but for some time this idea remained far removed from reality. Muscovites came here to take walks, drink tea, and listen to street musicians. The era of MSU began in 1953. That’s when the platform with the fantastic panoramic view of Moscow appeared, along with a ski slope. Shalyapin used to give performances at the restaurant located on the observation point. People went skiing and sledding here in the winter, and in the summer there were motor boats and steamboats to enjoy. The Soviet government wanted to build a whole city here – a stadium for 40,000 people, a park, and an open-air theatre. The latter was to be accessible by all forms of transportation, including planes. But these ideas were never implemented. Now, this place is a natural reserve with separate garbage collection, excellent navigation signs, a family of falcons, and cozy places to have a picnic. There are also stationary binoculars with a powerful zoom that guests can use. You can walk down to the water from the observation point. In the summer, there are cable cars you can take to the right of the observation point (facing toward the city). The cable car will bring you down to the embankment or the dock. There is also a half-way stop. From there, you can get on a boat and go on a journey along the Moscow River. The Federation Tower is located in the center of the city, 4km away from the Kremlin. Here, you get a 360-degree view of Moscow, from all the best angles. The idea to have an observation platform here was part of the original design when the tower was built, and having a great view of the city was one of the initial project requirements. 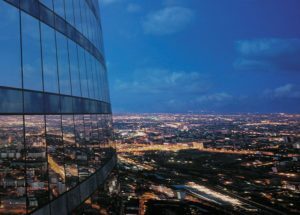 The skyscraper is constructed in a way that can withstand a crash with an airplane without crumbling or collapsing. The observation point is also wheelchair accessible. The ticket price includes a visit to the only ice cream factory in the world located on the 89th floor, which is located right next to the observation point. Visitors will be able to not only watch the ice-cream making process, but also get freshly-made ice cream as a souvenir to take home after the tour. Program: A tour with a master class in making ice cream, a tasting session, a tour guide, and interactive guide, a carton of ice cream to take home, and a photographer. The whole program lasts 1.5 hours. The price is 1,750 rub per person, and children under 5 years old go free. Groups must have at least 10 people. The highest observation point in Europe Panorama 360 is located on the 89th floor of the Federation Tower. The projects is included in the Russian Book of records as “the observation point on the highest floor of a building in Europe.” The observation point not only has a breathtaking view of the city, but a lot of other forms of entertainment as well. There is a projector show with an immersive effect, and interactive guide with augmented reality, a virtual 3D exhibition with a quest, an eco-cafe, a souvenir shop, and a photo zone where every visitor can get their pictures taken professionally in front of a panoramic view of the city and take the pictures home. A ticket is 600 rubles. The bell tower was closed for almost 100 years, since 1918. But now you can see the Kremlin from the same angle many of our ancestors looked at it. The tallest structure of the Kremlin – the Ivan the great Bell Tower – was erected in the 16th century during Boris Godunov’s reign. The observation point is located in the first bell-ring at an altitude of 25 meters above ground. To get to the top, guests have to climb 137 steps along a steep staircase. From here, there is a great view of Sobornaya Square, Uspenskiy, Archangelskiy, and Annunciation cathedrals, old streets in Moscow, and the House on Kotelnicheskaya Embankment. But you can only go up to the Bell Tower when it’s warm outside – from May to September, depending on the weather. 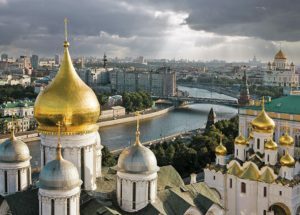 A ticket to visit the bell Tower also gives you access to to the Sobornaya Square and the Moscow kremlin Cathedrals – Uspenskiy, Archangelskiy, and Annunciation cathedrals, as well as the Church of the Deposition of the Robe. The territory of the Kremlin also has the famous Tsar Cannon and Tsar Bell. It’s best to plan your tour of the Kremlin, including the ascent to the bell tower, for a weekday morning. Except for Thursdays. The Kremlin is closed on Thursdays, including the museums and the entire territory. Tours of the observation point run according to the following schedule: 10:15am, 11:15am, 1:00pm, 2:00pm, 3:00pm, 4:00pm, from May 15 to September 30, there is also a tour at 5:00pm. Tours don’t run on Thursdays. Visitors who want to enjoy a panoramic view of the Kremlin need to pay an entry fee of 500 rub and get a separate ticket to visit the bell tower for 250 rub. The number of tickets is limited. Children under 14 are not permitted on the bell tower. Tourists have access to an audio guide, which gives 45-minute tours. The design of the bridge is unique and has no known equivalents in the world. It can handle loads of over 240 tons, which is about 3-4,000 people, at the same time. The observation point, which encompasses the whole bridge, has phenomenal views of the city’s historical center. To the right is the Moscow Kremlin (with especially great views of the Spasskaya, Vodovoznaya, and Beklemishevskaya Towers, the Grand Kremlin Palace, and the Ivan the Great Bell Tower), St. Basil’s Cathedral, the bell tower on the Sophia Embankment, the majestic building of the Ministry of Foreign Affairs and the skyscrapers of the Business Center of Moscow City – a bizarre contrast to the historical views. If you look closely, you can see the Upper (GUM) and the Middle Trade Rows, the Resurrection Gate, and the Moscow Hotel. Aside from all of this, Zaryadye’s floating bridge also has great views of the philharmonic building with the glass dome, as well as a number of historical churches inside and around the park: the Church of the Conception of St. Anna in the corner on the Moat, Znamensky Cathedral with the bell tower, Maksima Blazhennogo Church, Temple of the Great Martyr Barbara, and the Church of St. George. Plus, there are views of the Moskvoretskaya and Raushskaya Embankments of the Moscow River, as well as the Bolshoi Moskvoretsky and Bolshoi Ustyinskiy bridges to the right and left of the floating bridge. Although the bridge is new (it was opened in September 2017), it has already become one of Moscow’s key attractions. Even on weekdays, visitor volumes are so high that you’re surrounded by huge crowds of people at the observation point. 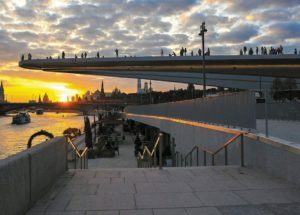 There is a wooden bench along the bridge for the convenience of guests, and the parapet is made of durable glass so that visitors have a better view of the surroundings. It’s easy to get to the observation point from the Leninsky Prospect metro station. Just walk 700 meters past the monument to Yuri Gagarin, and you’ll see the famous RAS building. There is a small observation point next to the RAS building, which has a great view of the Andreev Monastery, Moscow River embankments, and the river itself. Many people say that this spot has a better view of some of the city’s attractions than from Sparrow Hills. It’s a matter of taste, but you can visit both observation points for the sake of comparing the sights from different angles. The view of the city is truly incredible. Attractions you can see: the Academy’s building (the famous “gold brain”), Andreev Monastery, Frunzenskaya Embankment, monument to Yuri Gagarin, part of Neskuchniy Sad. For an even more impressive view, go up to the Sky Lounge restaurant on the 22nd floor and have a drink from a height of 100 meters. After the observation point, you can come down to the Moscow River and walk along the embankment toward Neskuchniy Sad or Sparrow Hills. The observation point is located on the 33rd floor of Hotel Ukraine (Radisson Royal Hotel, Moscow). The point has a panoramic view of the entire city, and the hotel’s convenient location in the center means that you can get a good look at Seven Sisters, the White House, Victory Park, and other famous attractions in the capital. A special feature of this observation point is the 360° panorama of the city. 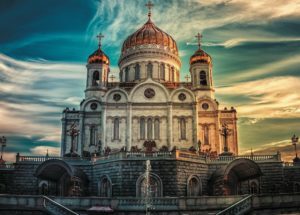 You can look at the Ostankino Tower and the lights of the futuristic Moscow City, see boats traveling along the Moscow River, check out the golden domes of the Church of Christ the Savior, the White House, Victory Park, and Sparrow Hills. You can also see the rest of the Seven Sisters from the observation point – the MSU and MFA buildings, Leningradskaya Hotel, along with the buildings on Kudrinskaya Square, Kotelnicheskaya Embankment, and the Red Gate Building. The observation point takes up two floors: the top floor is an open-air space that you can enjoy during the summer. It’s especially great to enjoy the fresh air and fantastic views of the city at the same time. The sky seems closer here, and the whole city unfolds on the palm of your hand. 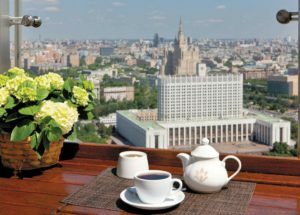 Children under 6 years old, Buono, Mercedes Bar, Trubadur, and Romantic restaurant guests, and guests staying at the Radisson Royal Hotel in Moscow have free access to the observation point. Price: adults – 1,000 rubles, children up to 14 – 500 rubles. The ticket price includes 1 drink (tea, coffee, juice, sparkling water, or regular water). The church has four observation points that are located between the bell towers. From a height of 40 meters, tourists can see the Kremlin, Gorky Park, Novy Arbat, Kotelnicheskaya Embankment, and Poklonnaya Hill. There are binoculars you can use to get a closer look at the surrounding areas. Going up on the observation platforms will also give you a closer look at the church domes, crosses, and belfry. Access to the observation point is only available for tour groups. The price of a tour starts at 250 rub per person. The duration of a tour is about 30 minutes. The guide will talk about the views and the church itself. More often than not, a visit to the observation point is combined with a tour of the Church of Christ the Savior. A tour of the observation points is about 20-25 minutes long and runs every hour. Entry into the Church and the Church museum are free, and the tours of the Church and the observation points are paid for separately.